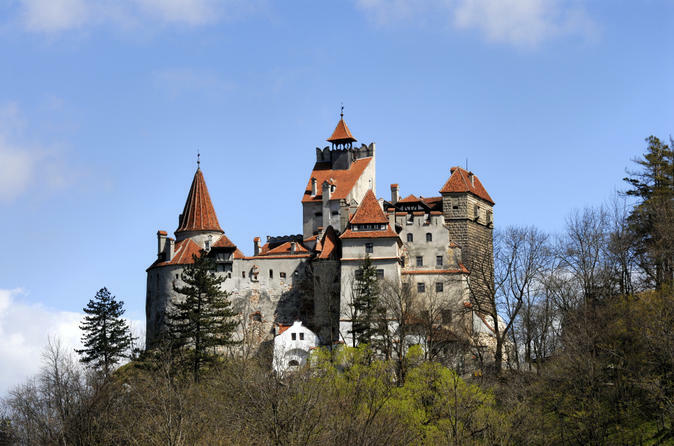 Discover Bran Castle, known as ‘Dracula’s Castle,’ and Râșnov Fortress on this 4-hour tour from Braşov. 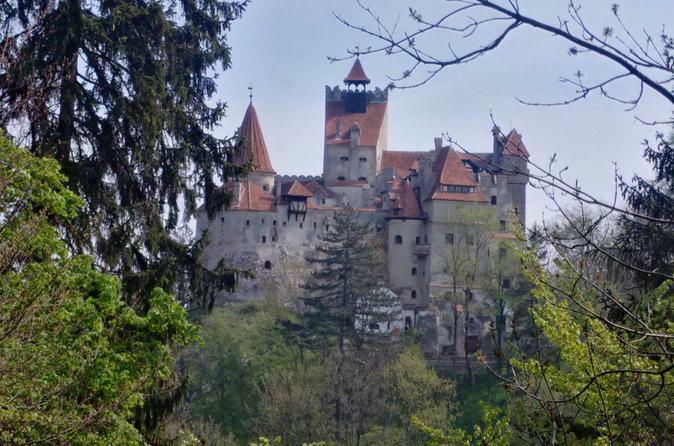 Travel to Râșnov to explore its stunning 13th-century fortress, and then visit Bran Castle, the turreted hilltop palace linked to Bram Stoker’s fictional Count Dracula. Walk through the spooky rooms and hear tales about Vlad the Impaler, the 15th-century noble who was imprisoned here and inspired Stoker’s blood-stained vampire. 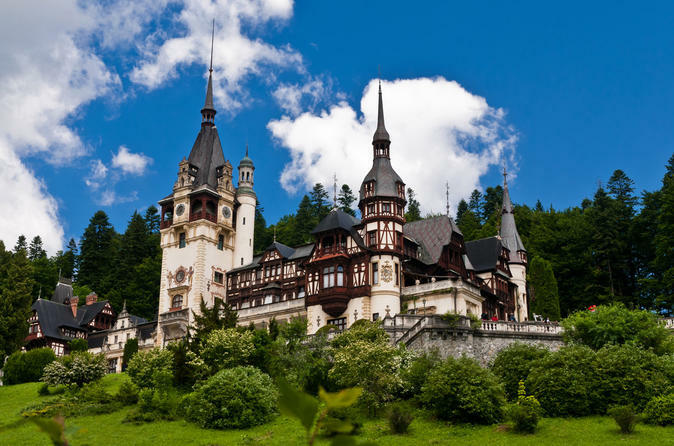 Afterward, choose to return to Braşov, or extend your tour to nearby Peleș Castle. 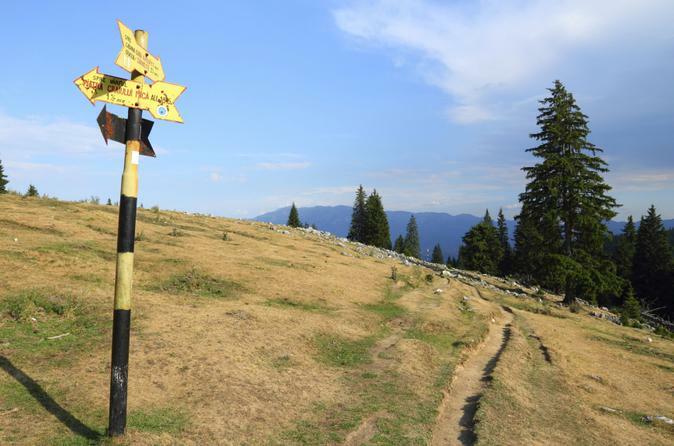 Explore the pristine Piatra Craiului National Park on this small-group day hiking tour from Brașov. 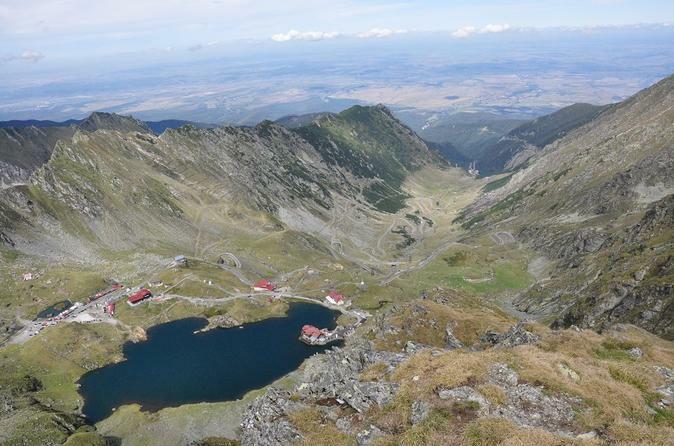 With an expert guide, head to Romania’s Carpathian Mountains and follow one of two 5- to 6-hour routes, according to the weather and your group’s preferences. Depending on your route, cross the narrow Zarnesti Gorge, walk through forests and meadows, learn about local industries such as mountain shepherding and cheese-making, and visit mountain villages or a mountain hut for a rustic lunch. Numbers are limited to eight people to ensure a personalized experience. Entrance fees not included. 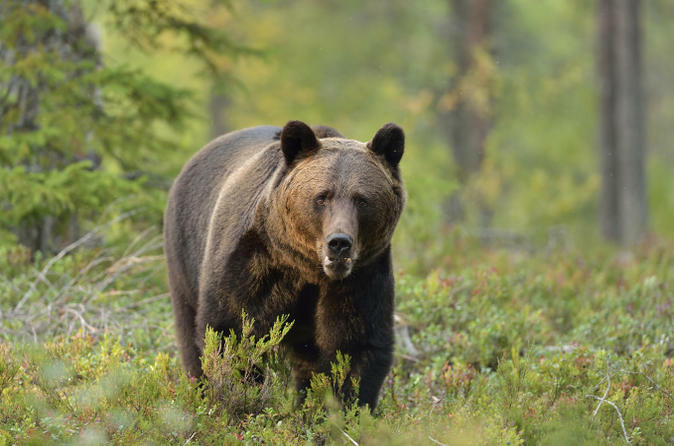 Seize the opportunity to witness Carpathian brown bears in the wild on this 3-hour bear-watching experience from Brașov. Leaving at sunset, travel by minivan or car into the Carpathian Mountains, and, accompanied by a forest ranger, walk into the forests to a secure hide. Then, wait quietly to spot the beautiful brown bears that roam the woodlands. Look for youngsters, large males, and females with their cubs, and for other wildlife including deer, lynx and wild boar. Numbers are limited to a maximum six people for a personalized experience. Get to know Braşov Old Town on a 3-hour walking tour, with a guide. As you walk between the top Braşov attractions, hear historical facts and stories about this lovely city and learn how it grew and fared in medieval times. Explore picturesque Piata Sfatului Square with its Council Hall and colorful houses; stroll down an intriguing alleyway, said to be the narrowest in Eastern Europe; and see the Black Church, St Nicholas Church and First Romanian School Museum, among other sights. Numbers are limited to a maximum of 10 for a more personalized experience. 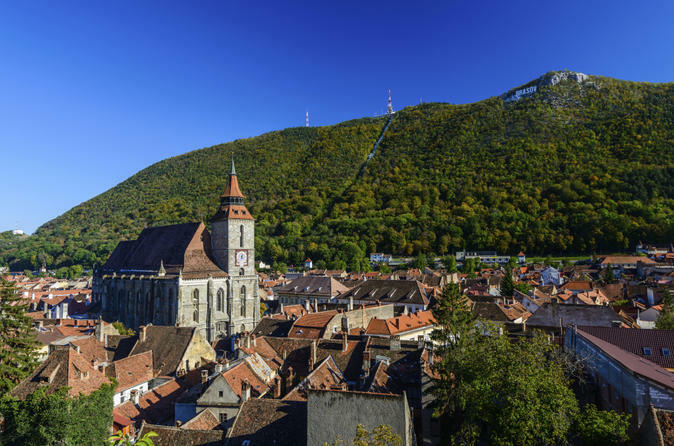 Visit Bran Castle, Rasnov Fortress and Peles Castle in one complete tour, small group departing from Brasov city centre, driving through the wonderful "Transylvanian Alps " - the southern Carpathian Mountains. Discover the world famous "Dracula's Castle" in Bran, the impressive Peasants Citadel in Rasnov and , as a wonderful Neo-Renaissance last stop, the magnificent Peles Castle, the former winter residence of the Romanian royal family. The tour will last approx. 8 hours, entrance fees included, escorted tour. 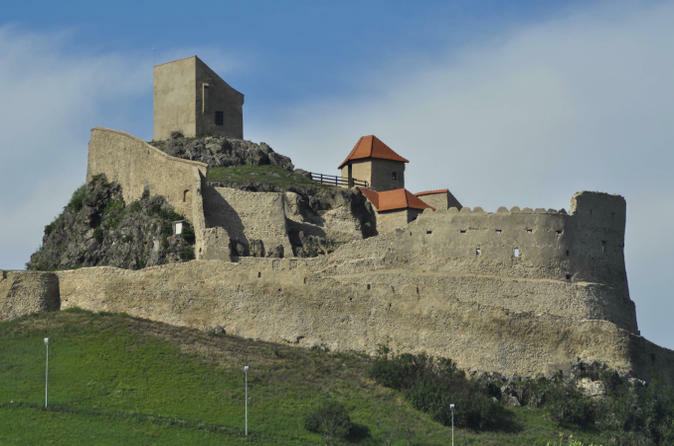 Visit Poienari Fortress, the real Vlad Tepes' Residential Castle and we drive on Transfagarasan highway, built as a strategic military route, is the second-highest paved road in Romania and considered by some to be the most dramatic. 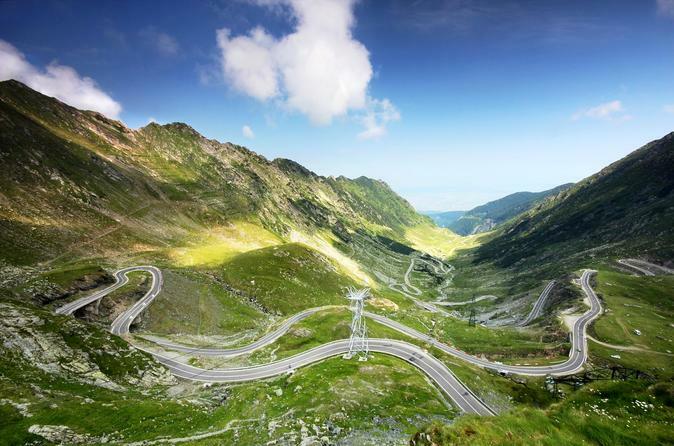 Enjoy a private guided day tour on one of the most beautiful routes in Romania, the Transfagarasan Road. Bran Castle aka Dracula's Castle, Rasnov Fortress and trekking in Piatra Craiului National Park in 2 wonderful days. The tour starts/ends Brasov. 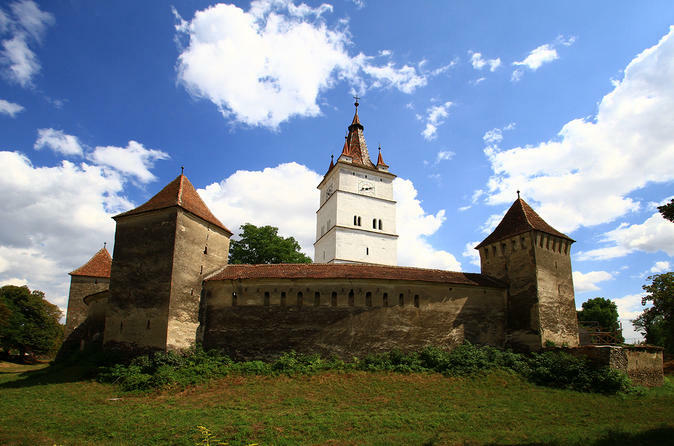 Enjoy a private guided day tour of the fortified churches of Harman and Prejmer, the Wailing waterfall and the Aurochs region and witness some of Romania's most extraordinary natural and architectural wonders.